From May 26 to 29 from 9 a.m. to 3 p.m. we will ride to raise funds and to promote the Essex Senior Center’s Exercise Studio. All proceeds will aid in the purchase of senior friendly exercise equipment. Participate in one of three ways: as a rider, donate to a rider, or donate the week of the event. Riders register for 15 minute time slots. A minimum donation of $10 is required per time slot at the time of registration. Riders can be self sponsored but are encouraged to get as many pledges as possible. Pick up a sponsor form at the front desk and assist us raising the $30,000 dollars needed to become a healthier senior center! Special thanks to Edgemere Senior Center Council for loaning us a bike. Dig through your closets, empty out your drawers. Craig Nusinov’s famous Get Gold Cash Roadshow is coming to The Essex Senior Center, paying you instantly for all your broken or unwanted gold, silver and platinum jewelry and home goods! All gold and silver necklaces, gold and silver bracelets, earrings, broken or unwanted gold or silver watches, old engagement and out-dated cocktail rings, class rings, pendants and charms, gold and silver coins, sterling home goods - trays, tea-sets, flatware, candelabras and dental gold will be bought.It doesn’t matter if it’s bent, broken, busted or tarnished! Bring all the unwanted jewelry you can find! The prices of gold, silver and platinum are near an all-time high. There couldn’t be a better time to get money for your unwanted jewelry and silver home goods! Search your home today and bring all your unwanted jewelry to the hospital for instant payment. Get Gold Cash will donate 25% of the proceeds to Essex Senior Center Exercise Studio. 3 Days Only: Monday, May 4, from 9 a.m. to 1 p.m., Tuesday, May 5, from 9 a.m. to 1 p.m., and Wednesday, May 6, from 9 a.m. to 1 p.m. A drivers license/or state i.d. is required. When you visit Cactus Willies in Essex on the 2nd Thursday of each month, 15% of your check will be donated back to Essex Senior Center’s Exercise Studio. Just bring plenty of people with hearty appetites to assist with this fundraiser and be sure to mention Essex Senior Center when you arrive. Become a member of Become a Member of Essex Senior Center. 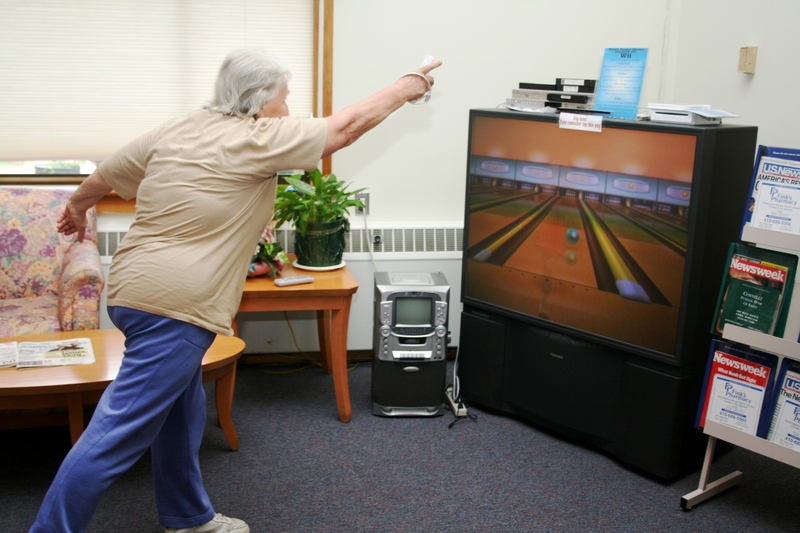 Registration is easy and allows you to participate in a variety of activities offered at Essex Senior Center. While you’re at it, you might be interested in donating to our center enhancement fund. This year’s enhancement fund will help purchase fitness equipment for our new Exercise Studio. With your donation of $15 or more, you will receive a one year subscription to Senior Digest, BCDA’s award-winning newspaper filled with information that every senior needs! If you currently have a subscription, you may extend it, or you might consider giving a subscription as a gift! Either way, you’re helping to improve your favorite senior center, and treating yourself to a great publication! Garden Club is Taking Root! Essex Senior Center is starting a garden club in the Spring. This group of individuals will meet to discuss different gardening techniques, effective products, plant care, and other green thumb items. In addition they will take care of the salad table, build salad tables as needed, and attend gardening presentations. Interested participants should sign the interest sheet at the front desk. The first meeting is Tuesday, March 24 at 10 a.m.
Thursday evenings for only $12 per week! Weigh-in begins at 5:00 pm, the meeting starts at 5:30 pm. Have the Essex Enquirer Mailed to Your Home! Don't have time to stop by the Center at the beginning of each month to find out what's going on at the Center? Do you miss out on events because you are too late getting a copy of the Essex Enquirer? Then have the newsletter mailed to your home for only $12 for a year's subscription. See someone in the office to sign up. The more tickets we sell, the more cash you win! Buy your tickets in the front lobby. The monthly drawings will end the last Monday of the month at Bingo, where we will pull the ticket of our big winner. Need a Ride to the Center or to go Shopping? County Ride has expanded service in the Essex community. A new program under County Ride titled Priority 2 allows seniors to reserve a ride to Essex Senior Center three weeks in advance. You can reserve a ride for Tuesday and/or Wednesday to the Center. By allowing seniors to call 3 weeks in advance you have an excellent chance of booking a ride. A Shopping Shuttle is now offered the 1st Thursday of each month. Participants will take County Ride to a shopping area. Destinations have included :EastPoint Mall, Walmart, Hawthorne Shopping Center, Golden Ring Mall, White Marsh Mall, Giant at Stemmer's Run, at Walmart at Carroll Island. You must sign up with a staff person for the shopping shuttle at least 2 weeks in advance. Shopping carts are available for partipants for a mere $5! The cost is $5 for a round trip for either of the above special services and you must fill out a County Ride application if you are not already registered with them. See staff for more information. Wed. April 22 - Tall Tales and Urban Legends - 12:45 p.m. - Join Bob Hale as he tales from the frontier and more legends from today's city life. The trend is from stories about rural life and the weather to stories and scams about city life: get-rich-quick schemes and rumors that spread like wildfire. Fri. May 1 - Bone Density Screening - 1 p.m. to 3 p.m. - The Baltimore County Department of Aging & Erickson Medical Health Group Bone Health Program will help you determine if you are at risk for osteoporosis by participating in a free bone density screening. A bone density test is used to screen for and detect the early stages of osteoporosis, a condition defined by a decreased density of normal bone that affects both men and women. Tues. May 5 - Overview of Current Market Conditions - 10:30 a.m. - Is now a good time to look at other investment options? Should I invest more in stocks with the market down? How will the bailouts help? Discuss the current financial market with Mario Buschemi from Met Life. Wed. May 6 - Help I Am Having a Snack Attack - 1 p.m. - Looking for ways to curb those “pesky snack attacks” or ideas on making healthier choices? Join us for this informative program presented by the Baltimore County Department of Aging’s Nutrition Office. The Red Hat Society (RHS) is a social organization founded in 1998 for women over 50. As of October 2006 there are about 1.5 million registered members in over forty thousand chapters in the United States and thirty other countries. The Essex Ramblers meet on the 2nd Wednesday of the month at Noon. The Essex Foxy Belles meet on the 3rd Wednesday of the month at 10 am.